Morny Joy is Professor in the Department of Religious Studies at the University of Calgary. The application of women’s rights to the religions of the world have prompted highly contentious debates. A principal aim of this edited book is to explore the many intricate issues raised in such interactions. 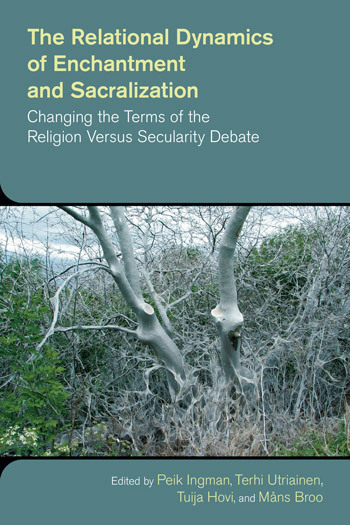 The chapters in this volume result from a workshop held at the Universities of Victoria and Calgary in Canada in 2016 where eleven women scholars of religion met and compared their respective findings. These women gathered from diverse regions of the world, representing a plurality of religions, including indigenous religions. To enrich this already complex undertaking, four philosophers and legal scholars were also invited to participate. Their chapters reflect the insights that emerged from the discussions, which helped to clarify present challenges and envision innovative possibilities. Archaic attitudes involving exclusionary regulations and controversial gender-specific practices were identified. More contemporary impasses, such as individualism, so prevalent in western rights debates, and the unitary model of human rights, where “one size fits all,” as promulgated in the west, were also appraised. Current constructive moves, especially expanding the notion of rights to involve relationships, were also acknowledged. A primary concern of this project is that of fostering future such collaborations of women advocates of gender justice.